Are you thinking about taking your family on a Christmas vacation? While it’s been traditional to wait at home for Santa to arrive, a number of American families spend Christmas away from home each year. Christmas vacations are becoming more and more popular and you will likely find that there is a wide variety of fun holiday vacations available to you. 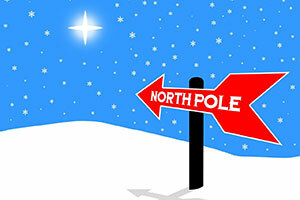 What better place to visit during the holiday season than the North Pole – North Pole, New York that is. North Pole is located in the Adirondack Mountains in upstate New York, and is one of the most magical places to visit during your Christmas vacation. Ideal for both kids and kids at heart, North Pole is open for five weekends prior to Christmas during November and December. You can find Christmas vacation packages that include meals, lodging, and admission to Santa’s workshop. 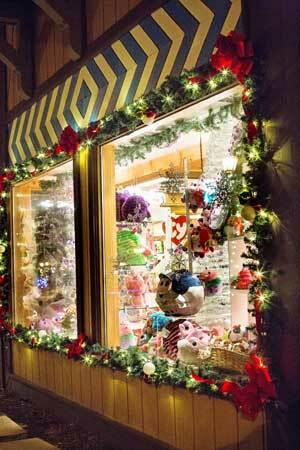 Santa’s Village features shops where you’ll certainly find the perfect souvenir from your Christmas vacation. Oftentimes, there is live music to entertain the crowds. You and your family can enjoy watching glassblowers, puppet shows and other holiday entertainment. If New York state seems a bit far from the real North Pole, try getting a little closer to the real thing by visiting North Pole, Alaska. You’ll want to be sure to visit Santa’s house in the North Pole and perhaps take a dog sled ride through Santa’s village in the North Pole. Enjoy a once-in-a-lifetime experience as you race through the magical North Pole on an authentic Alaskan dog sled. You can find hotel accommodations in nearby Fairbanks and at the Chena Hot Springs Resort. There is also lodging available at the Santaland RV Park. The Santa House also offers a large store where guests to the North Pole can find every type of souvenir from ‘I Believe in Santa’ hats to ‘Santa Claus Crossing’ signs and refrigerator magnets. Whether you are two or ninety-two the magic of Christmas in North Pole, Alaska will have you believing in Saint Nick. Another popular destination is Hershey, Pennsylvania before or during the Christmas season. The home of Hershey’s candy, Hershey Park becomes home to Christmas Candylane, where over one million Christmas lights are put on display. In addition to the lights, the staff at Hershey Park constructs a number of animated displays that are sure to delight both you are your children. You can enjoy the rest of the park, too, in addition to Christmas Candylane. Hershey Park is a popular destination for travelers throughout the year, as it offers a wide variety of both entertainment and great candy. Christmas Candylane typically runs for a month prior to Christmas. If your family has never taken a Disney vacation, Christmastime may be the perfect time to do so. In addition to enjoying the Walt Disney World parade in Orlando, Florida, your kids will also enjoy seeing all their favorite Disney characters decked out in their Santa hats and Christmas outfits. There are also a number of special Christmas time shows put on in the parks including Mickey Mouse’s ‘Twas the Night Before Christmas and Belle’s Enchanted Christmas Storytelling. Giant Christmas trees are erected throughout the parks and are lit up with thousands of Christmas lights, bringing the spirit of Christmas alive throughout the already magical Disney World. The weeks around the Christmas season are also times where lodging rates at Disney World resorts are typically lower than the peak season rates. You are likely to get tons of fun at a reduced price when traveling during the Christmas season. The weather in central Florida during this time of year is typically in the mid-70s, a great change of pace if you are used to cold, wintry Christmas seasons. Santa’s sleigh may have some trouble landing without snow but the magic of the Christmas season is alive and well at Disney World.